MARTIN MARTINSSON is Managing Director and Artistic Director for the institution Musik i Syd. In its way, Musik i Syd is one of the Nordic region's largest and leading institutions and has operations in southern Sweden. During the 1990s, Martin Martinsson was Director for the Swedish National Concert Institute (Rikskonserter) in Stockholm. Prior to that he was director of training at the Malmö Academy of Music, where he also received his soloist diploma in violin and teaching. 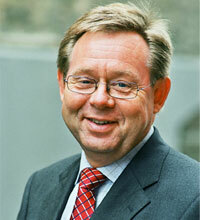 Martin Martinsson has had, and has, a number of positions on boards both nationally and internationally, e.g. he is chairman of the Eric Ericson International Choral Centre.